Download "+ iptables. packet filtering && firewall"
4 what? a packet filter is a piece of software that looks at the headers of packets as they pass through, and decides the fate of the entire packet why? + control allow only what you specify + security protect against evil >: + watchfulness alerts of abnormal activity + what is packet filtering and why do we need it? 12 + targets LOG ACCEPT REJECT DROP Make a log entry. Allow packet. Send back an error response. Ignore packet without responding. DNAT Rewrite destination ip. SNAT Rewrite source ip / ports. MASQUERADE Used for source nat specify source ports. 13 + states NEW ESTABLISHED RELATED New communication request. Reply to previous packet. Like ESTABLISHED, but for when the packet is not strictly a reply packet. Track 2 Workshop PacNOG 7 American Samoa Firewalling and NAT Core Concepts Host security vs Network security What is a firewall? What does it do? Where does one use it? At what level does it function? 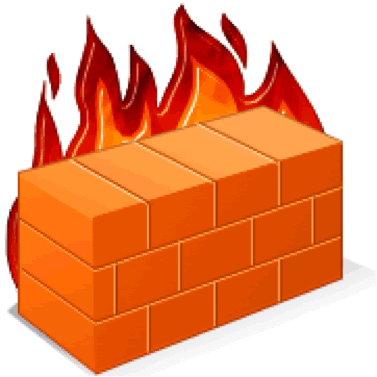 Firewall Tutorial. KAIST Dept. of EECS NC Lab. Network security Exercise 9 How to build a wall of fire Linux Netfilter Tobias Limmer Computer Networks and Communication Systems Dept. of Computer Sciences, University of Erlangen-Nuremberg, Germany 14. Linux Cluster Security Neil Gorsuch NCSA, University of Illinois, Urbana, Illinois. How to protect your home/office network?